With each passing year, we interface with some of the best and latest technologies around the world. A few years ago, the smartphone was the most important invention of all time but since that moment forward, the technology never disappointed us. Just when you imagine the life can’t get better than this, there is something more interesting and astonishing heading your way to make your life better, more convenient and luxurious. From mobile phones that can perform more tasks than a computer to VR technologies to wearable sensors for health purposes to self-driving cars, there is so much that the future holds for you that you can imagine. Although it’s tough to select only a few new technologies from 2018 but here is the list of 5 items that got the top 5 positions. 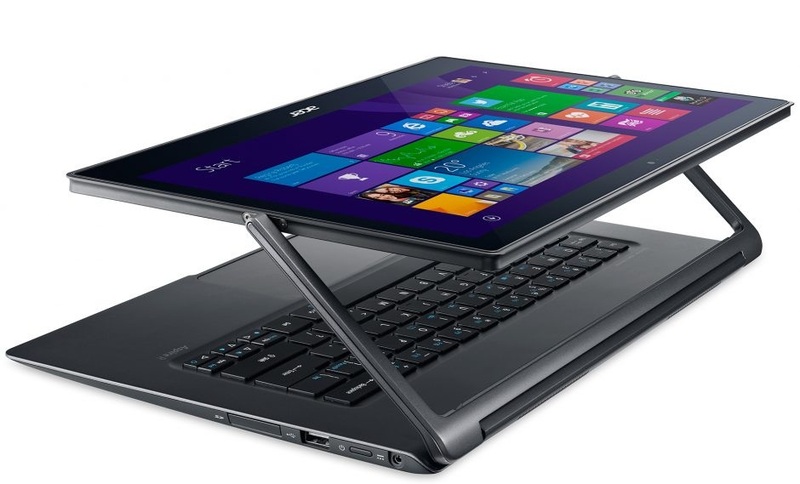 Remember when we saw the first laptop that has the ability to detach the screen so it can be used as a tablet? That was something very interesting but due to technical boundaries, the idea didn’t intimate most of the tech users. This is where the convertible laptops come in handy. In 2018, almost all the top laptop manufacturers introduced convertible laptops . The basic idea behind this technology is to rotate the screen around the hinges without taking the LCD away from the keyboard so you can easily use the laptop in a tablet mode or tent mode for watching movies or editing photos. With the response this technology got from the viewers, it’s safe to say that this invention is here to stay for a while and you can expect to see more and better models portraying the same screen rotating technology in next few months. This is another cool new invention that is going to stick for years and from this point on, it’s only going to get better. Compared to VR headsets and technology that we are seeing since 2016, AR is going to better because this won’t need a separate device or gadget but you will be able to use it on your smartphone or tablet. From playing games to creating an interesting surrounding around you, there is so much potential in AR. This same technology will motivate smartphone manufacturers to start putting more and better sensors in the mobile devices and maybe it’s safe to assume that in near future, due to AR and VR technologies, actual reality will no longer be as important as now. Having a gigantic LED television at home is everyone’s dream but the available space you have in your bedroom or living room often comes in the way of purchasing a 50 or 60-inch televisions. Well, that is the thing of past now. In 2018 CES show, LG introduced a 65-inch television that can roll into a small space. This means with the push of a button, you will be able to roll out the big monster screen in your bedroom and when you don’t want to see it, just press the button and it will go back into the small rectangular box at the bottom. We saw some prototypes of similar technologies in mobile phones but it was all just imagination and making it possible for consumers around the world was just an idea before 2018. In the future, keep an eye out for seeing more of this flexible screen technology in similar devices. There are many people around us who love to have a pet but they don’t want to deal with the mess and responsibilities these creatures come with. Let’s face the reality that having a dog at home is very interesting and it gives your family the feeling of being complete but when you have to deal with the mess and take the dog out for a walk, it becomes less interesting and more like a responsibility. This is something that forced manufacturers to produce robotic pets. We saw some early models in 2018 and by the look and feel of the invention; these pets are going to be something quite important in the near future. Some of the same robot pets were introduced to help overcome anxiety and stress and a robotic duck was also introduced that could help children with cancer to live a better life during therapy. If you thought that the future of a motor vehicle is the self-driving car, you can’t be more wrong. It’s much more than that. Only the future can reveal what it has to offer to us but in 2018, Byton introduced a self-driving car that can perform many other functions as well. The car is equipped with dozens of sensors and cameras and as soon you enter in the car, the camera detects your face, unlocks the car and set the customized setting for you. This car comes with self-driving technology but you can also drive it if you want. There is a gigantic full-size display screen on the instrument panel and you can operate the entire vehicle with a touchscreen. Additionally, the car has the ability to monitor your blood pressure and heart rate while you travel.